Iki Shochu Journey: Omoya Shuzo - Kampai! : Kampai! On my Kyushu Adventure in October 2013, I hoped to visit Iki, an 53 square mile island with a population of just 28,000 in the Tsushima Straight between Japan and South Korea. Iki is the traditional home of mugi (barley) shochu, or iki shochu, which has Appellation of Origin Status from the World Trade Organization. The sushi chef at 1 or 8 in Brooklyn was doubly excited when I told him my plans since he thinks the seafood in Iki rivals any seafood available anywhere in Japan thanks to the ocean currents that bring a bountiful selection of particularly squid, shrimp, and sea urchin, to the area. Unfortunately, my trip plans were wiped out by a typhoon so I had to postpone my Iki visit until June 2014. Professor Sakaguchi of the Shochu Project was kind enough to arrange for distillery visits over 2 days one weekend in June. 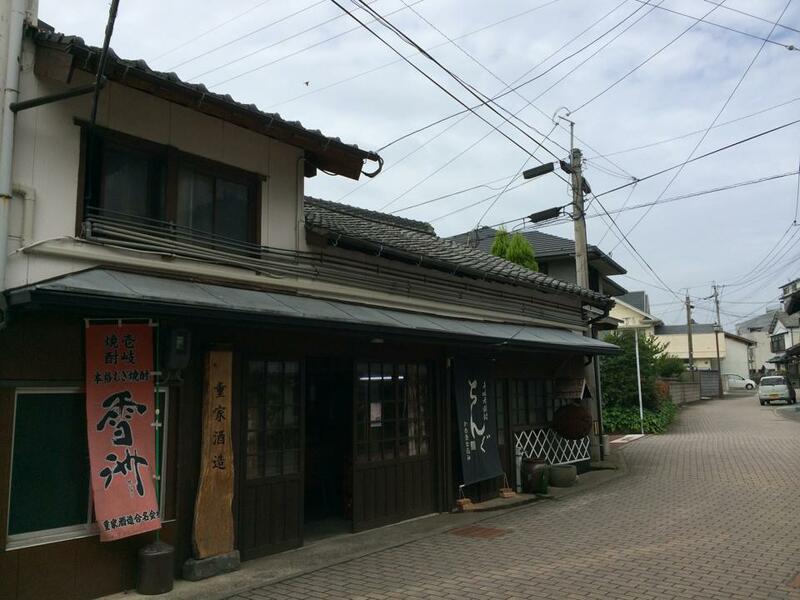 Arriving under threat of rain (June is rainy season in Japan), but not typhoon conditions, the first stop in Iki was the smallest distillery in Iki, Omoya Shuzo. Just 7 iki shochu producers currently exist in Iki and Omoya-san is the only tezukuri (handmade) distillery left on the island. Due to the demand for the light, clean flavors and aromas of barley shochu throughout Japan, handmade production is not always possible. However, Omoya Shuzo, with production capacity of just a few hundred liters per day, and a handful of employees, sticks with the traditional handmade approach for their artisanal products. 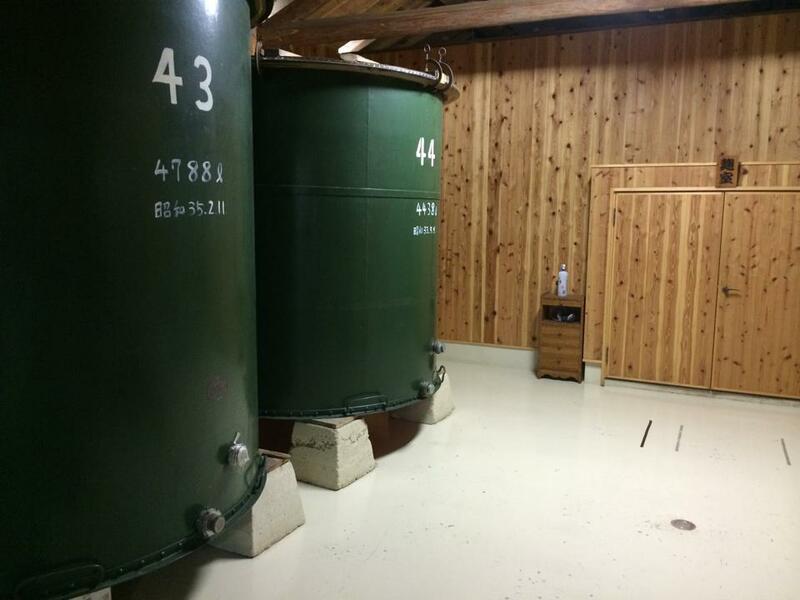 A traditional cedar koji room is used for both black and white koji production. 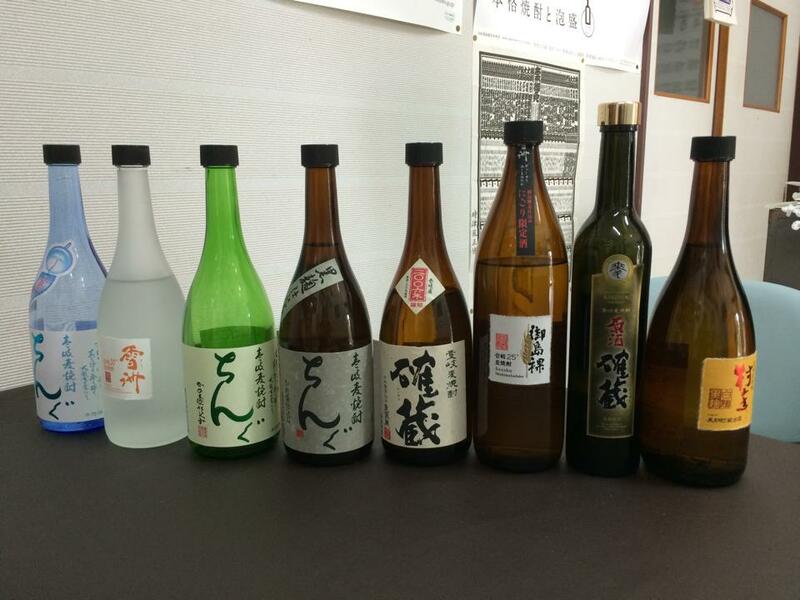 Most mugi shochu throught Iki is made with white koji and most distillation is low pressure to give the classic light barley shochu flavor many people enjoy. However, a small distillery like Omoya can experiment a bit with atmospheric distillation and black koji. Interestingly, this was the first distillery that I saw a still that could accommodate both pressurized and un-pressurized distillation. It turns out this is common in Iki, but I’d not seen it anywhere else. As I discovered in Hitoyoshi, Kumamoto with rice shochu, barley shochu is much more diverse than you’d believe based on the limited selection available in the U.S. The mixing of koji types, distillation methods, aging techniques (stainless, clay pots, or wood barrels), and yeasts yields a wide variety of flavors and aromas. Omoya Shuzo’s product line is relatively small compared to their larger competitors, but each one of them had unique characteristics. The size and scope of the distillery and the traditional processes and delicious products were enough to fall in love with Omoya Shuzo, but I was even more pleased than I thought possible when the toji’s son came out of their home to play soccer in the small space between the distillery and the factory store. He shouted at his friends, hoping to get a game going – and I was quickly reminded that I was visiting Japan during the World Cup. Awesome that you were able to get back to Japan this year! Tombo is the only honkaku (single distilled) shochu I know of that is not produced in Japan. It’s also the only honkaku shochu, to my knowledge, made with North American barley. At $14.99 at my local liquor store no other honkaku shochu comes close to the price point. But don’t let the nontraditional location or grain put you off. This is an authentic shochu. What’s in a name? It helps to understand the origins of Kappa No Sasoi Mizu, which is literally translated to “Kappa pump priming”, but more subtly refers to the allure of the mythical Kappa, which will drown you if you come to close to the water (mizu). More subtly the Kappa is known to sometimes seduce women, which would explain this shochu most fully. 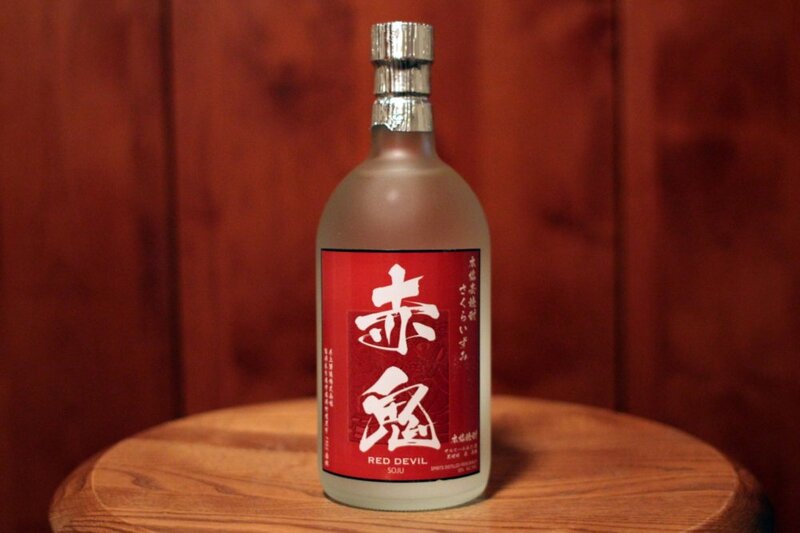 Akaoni with its striking red label on a clear frosted bottle with a silver foil topper certainly catches the eye. It is one of several mugi shochus from this distiller and from what I can gather is targeted toward a more mellow drinking experience. It doesn’t disappoint. It was a hit at a recent tasting. Smooth, delicious. There’s no better Valentine’s Day shochu available in the U.S. than Tenshi No Yuwaku, which is translated as angel’s temptation. This is a play on the idea of the angel’s share, the part of a barrel aged spirit that evaporates “to heaven” … In this case, the spirit is so good even the angel’s are tempted. The Botticelli cupid on the label only makes it more sweet in its appeal to our romantic side. There are not many junmai kuma-shochus available in the U.S. market. These are shochus made with polished Japanese rice, the same polishing process used in sake (nihon-shu) production. “Junmai” refers to rice that’s been polished at least 70% (30% of the outer grain removed). Hakutake Shiro is made with rice polished to 60%. 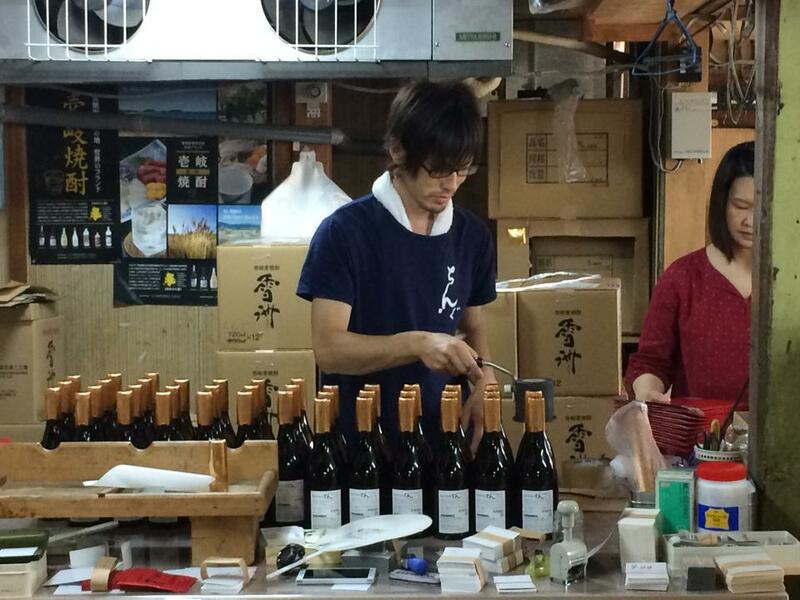 Only kome shochus produced in the Kuma River Valley can be designated as “kuma-shochu”. Copyright © 2019 · All Rights Reserved · Kampai!